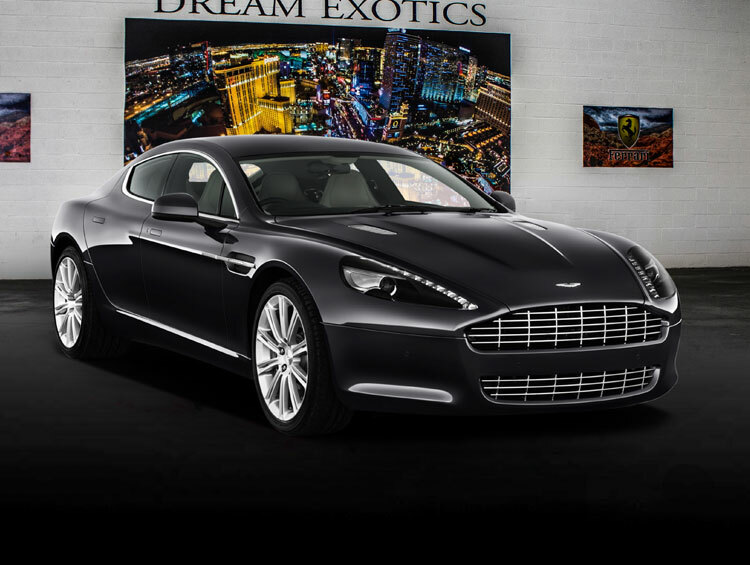 Cruise the sun-drenched streets of Las Vegas in style with an Aston Martin Rapide S rental from Dream Exotics. Whether you are in Vegas for business or pleasure, this luxurious and powerful sedan will make you feel like a boss. The Rapide S is an exotic car that comes with plenty of room for you and your friends to take advantage of all that Las Vegas has to offer. The most famous owner of this model of supercar is none other than James Bond, 007. At Dream Exotics, we offer a true dream – a James Bond car fantasy unlike any other. Fire up the engine of one of Aston Martin’s most impressive cars and have a go at the super spy lifestyle for yourself. Arrive in style to play a round of roulette, take in an exciting show, or drive off the strip to see the vast canyons and deserts surrounding Las Vegas. Aston Martin Rapide S is a luxury car rental opportunity like no other. With a top speed of 203 mph, it’s a powerful beast that provides an extraordinarily luxurious drive. It handles as well on curvy, mountain roads as it does on city streets – which is ideal because you can experience both in the Las Vegas area. Because this car is also a four-door sedan, it’s perfect for bachelor parties or any event with friends. It’s not often that you get that kind of horsepower with room for more than one passenger. When it comes to an exotic car rental like the Aston Martin Rapide S, Dream Exotics is the first and best choice in Las Vegas. We have a variety of exciting inventory options at prices you can’t refuse, and our customer service can’t be beat. Contact us today and get on the road in your own dream car.